There was a decade when giants walked. These were days when governments and societies for the most part worked. These were days when a wall came down, and the guns went silent. These were the days when 19 million jobs were created, the greatest peacetime employment expansion in American history. These were days when just plain living was a “good thing” as Martha would say. Almost DailyBrett will never be accused of being warm and fuzzy, romantic or even nostalgic. There is no desire to turn back the clock, but there is an almost daily longing to go Back to the Future (1985 film) and see what we can learn from the 1980s. The 1980s began with 52 Americans being held hostage in Iran and ended with the Berlin Wall coming down and the successful culmination of the Cold War. Some closer to home even dared to utter that it was “Morning in America.” Can you imagine saying that today? There is no such thing as a perfect society and there never will be, but the 1980s gave us a peek into what we can do, if we can compromise, respect other opinions and work together. “Why won’t our leaders work to accommodate each other, employing civility as they cooperate to accomplish goals in the country’s best interests? What in our national character, in the ways we choose to deal with one another and respect different viewpoints, has changed so much since the days of Reagan and O’Neill? How can we win back the faith that our republic is working?” – Chris Matthews, staffer to former House Speaker Tip O’Neill. 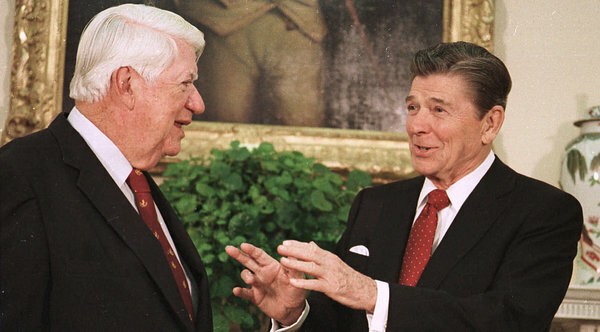 MSNBC’s Chris Matthews wrote his 2013 best seller, “Tip and the Gipper: When Politics Worked” about the relationship between a Republican president and a Democratic speaker of the house that were mirror philosophical opposites of each other, but managed to work together to improve America. Even with Paul Ryan coming aboard as Speaker of the House are we in any way more confident that Congress and the incumbent president can put together enough votes and good will to do anything other than raising the debt limit to $20 trillion? 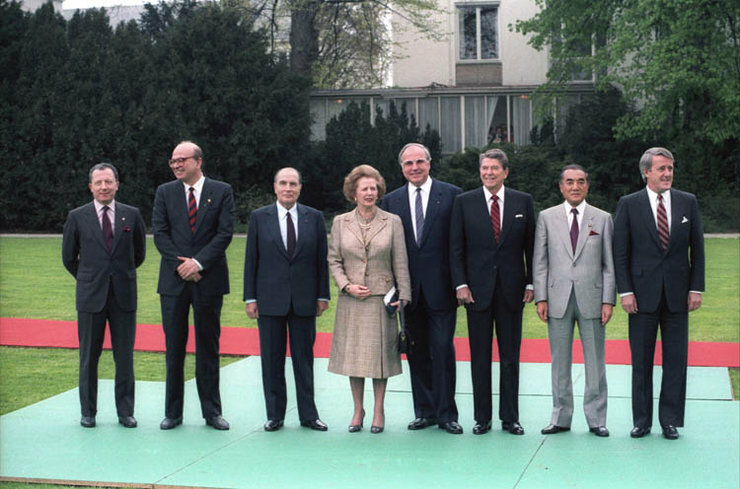 Going back to the future, to the 1980s, Ronald Reagan was president, Margaret Thatcher was prime minster, Mikhail Gorbachev was general secretary and Helmut Kohl was Kanzler. Would we trade Barack Obama, David Cameron, Vladimir Putin and Angela Merkel for their aforementioned predecessors? Wouldn’t we certainly like to see bare-chested Putin ride his horse into the sunset? Reading Kohl’s Vom Mauerfall zur Weiderveinigung: Meine Erinnergungen, one is floored by how Kohl drew an inside straight with Gorbachev barely 50 years after Barbarossa commenced and the Panzers roared into Russia. All Kohl wanted to do was reunify Germany, expel Soviet troops from former East Germany, enroll a united Germany in the NATO alliance, integrate Germany into the European Union and maintain a defense force of 370,000. Surprisingly, Gorbachev said “da” as Germany promised to monetarily assist with Russia’s perestroika or restructuring program. 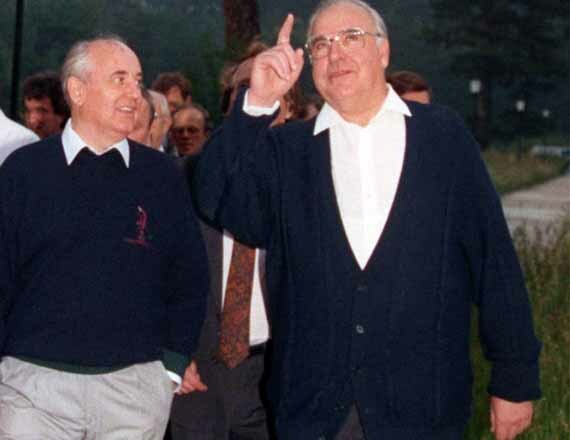 One of the key ingredients for Kohl to secure what he wanted for Germany and his place in history was being able to provide Gorbachev with talking points he could use back home in the Rodina. Imagine putting yourself into the other leader’s shoes and helping her or him make the politically tough, but correct choice? Alas, Gorbachev paid the ultimate political price for his courage. Can anyone conceivably imagine Putin signing off on any of the above or compromising on anything? Heck, Putin and Merkel won’t even speak the same language to each other when they meet. Courage seems to be in short supply these days (not suggesting that Merkel is a shrinking violet). Looking back at the 1980s, Americans were notorious ticket splitters and reflecting the national mood, more times than naught they gladly re-elected incumbents. Almost DailyBrett can’t forget how Republican Governor George Deukmejian was re-elected with the greatest landslide in blue California’s history with a 61-37 percent margin in 1986, and Democratic Senator Alan Cranston won re-election by a 49-47 percent count on the very same day. Contrast the mood in the country and political climate in the mid-1980s with the widespread vitriol, anxiety and angst that is prevalent at this mid-point of the second decade of the 21st Century. Many have asked the question, what happened (e.g., Chris Matthews)? The more important question is to ask: What can we collectively do to bring back the optimism and achievements of the 1980s? Are we turning back the clock as the pessimistic pundits would say or are we applying the digital wizardry of the 21st Century to recapture the optimism and best hopes of a not-too-distant time? As PR practitioners, reputation managers, students of global society do we dare appreciate the other team’s point of view? 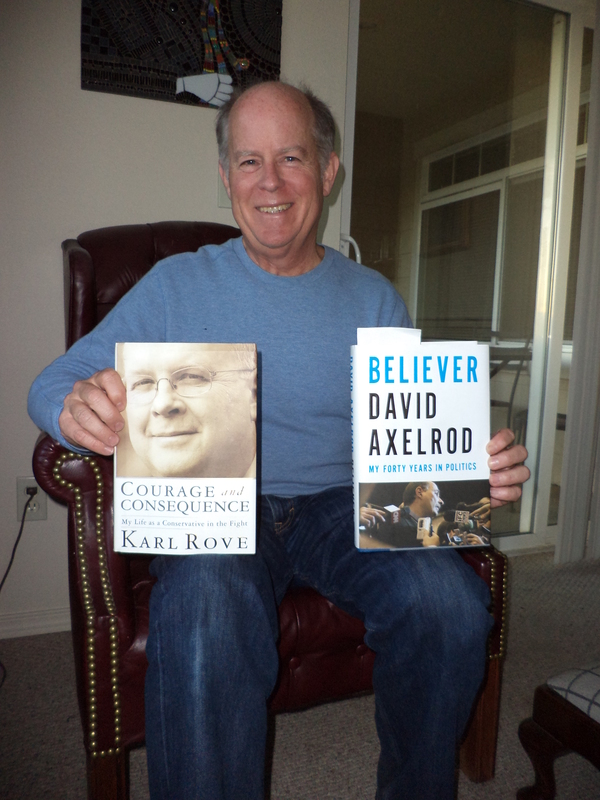 Can political animals read both Karl Rove’s Courage and Consequence and David Axelrod’s Believer and learn something from the two architects of the last four winning presidential campaigns? Or do we selectively search on Google, Yahoo and Bing for news and information that serves to corroborate our own personal confirmation bias? Some even revert to their crayons, coloring books and play dough when some foreign thought is threatening the filter bubble? Vaccines are really bad; it says so right here on Wikipedia. Even though the 1980s were not perfect, we know they were a better time, a much better time. Sometimes the best strategy is to take one step back before going two steps forward. Sounds like a tactical retreat, a period of reflection and then moving forward with great vigor to New Frontiers. A little compromise may be in order as well. Do we have the makings of a 1980s plan? Tags: 1980s, Alan Cranston, Almost DailyBrett, Back to the Future, Believer, Bing, Chris Matthews, Coursage and Consequence, David Axelrod, Filter Bubble, George Deukmejian, Google+, Helmut Kohl, Karl Rove, Mikhail Gorbachev, Morning in America, Paul Ryan, Ronald Reagan, Tip O'Neill, Vladimir Putin, Wikipedia, Yahoo!